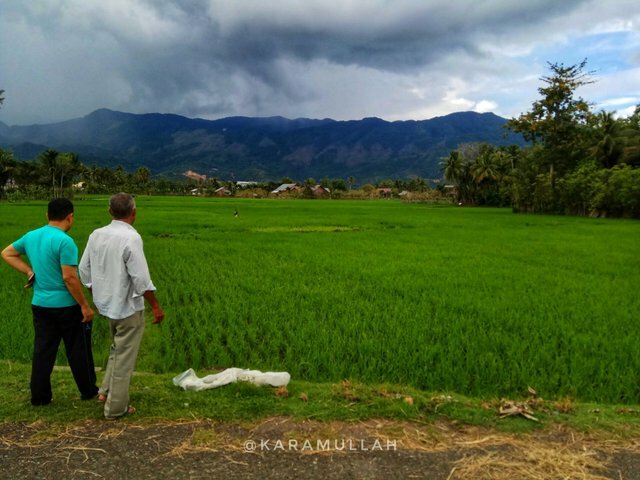 I shoot this field rice in Neusok Darul Kamal Aceh Besar with panoramic mode in my Smartphone Redme Not 4. People there farming for livelihood. That area, so many field rice, and many of people there is gardening. When a morning here is freshness and beautiful to feel and see. I go there because i want to buy some land to our house later.